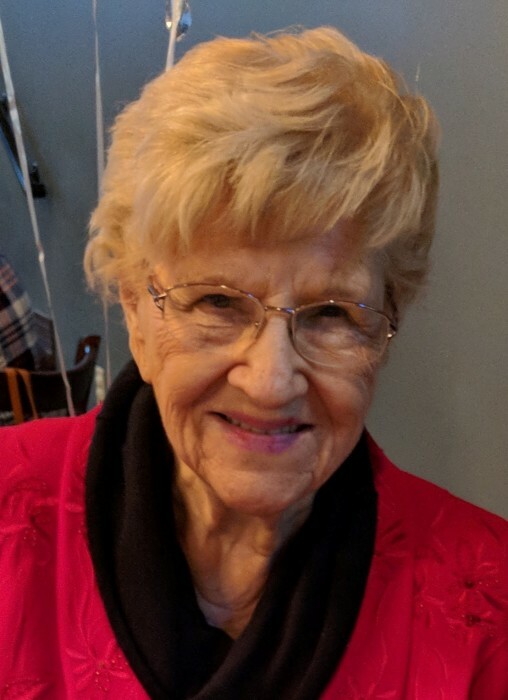 Ruby Lavern Carson, known to her family and friends as “Vern”, passed away at her home in Slidell, Louisiana on April 11th, 2019 surrounded by family. Vern was born in West Columbia, Texas on January 26th, 1935 to Otis Fortenbery and Ruby Hudgins Fortenbery. She was married to Lawrence “Kit” Carson until his passing in 1995. Lavern made a career as a real estate broker and owned her own brokerage, Carson Reality, in Houston, Texas. She became a highly recognized and accomplished realtor in the Houston area. She worked as a real estate agent for many years eventually moving to Slidell, Louisiana in 2008. While in Slidell, she worked at Keller Williams and Top Agent Realty. Vern was an active member of her church, First United Methodist Church of Slidell. In her leisure she enjoyed traveling, dancing, playing cards, shopping, and spending time with family and friends. Vern is preceded in death by her parents, Otis and Ruby Foertenbery, sister, Iris Queen, and husband, Kit L. Carson. Preceded in death by daughter-in-law Jamalyn Suzanne McCully wife of Neal McCully and Son-in-Law Robert Louis Jenkins, Sr. husband of Wanda Jenkins. She is survived by her children, Atris McCully and Trace of Slidell, LA, Wanda Jenkins of Sikes, LA and Neal McCully and Linda of Manvel, TX, 8 grandchildren, and 14 great-grandchildren. A memorial service will be held at 11:00 AM on Saturday, April 20th, 2019 at First United Methodist Church of Slidell officiated by Rev. Tim Neustifter. Please join us for a gathering to celebrate Vern’s life following the memorial services. Visitation from 10 am till 11am.R First United Methodist Church of Slidell 433 Erlanger Ave. Slidell, LA 70458. In lieu of flowers please make donations to St. Jude Children’s Research Hospital.